Artwork proofs provided for approval on all orders before production. We understand it's important to see the quality of our products before you commit to a big order, which is why you can order up to 5 samples to help decide which of our promotional products are best suited to your needs. Generally, samples will be with you in 1 - 2 working days. However, we will let you know if your sample is delayed. Most of our samples are provided free of charge, however a very small number of products have a small charge attached to them. Please note all samples are provided plain and cannot be printed with your logo. We offer advice on position and colour for the best results possible. 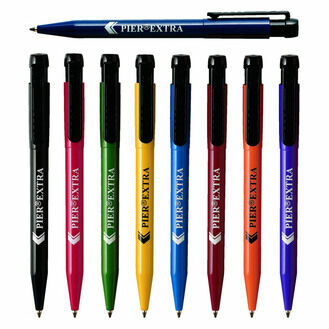 See your design on the pen before we start printing. If you are not happy with the artwork proof, no questions asked. Most products start at just 50 units. 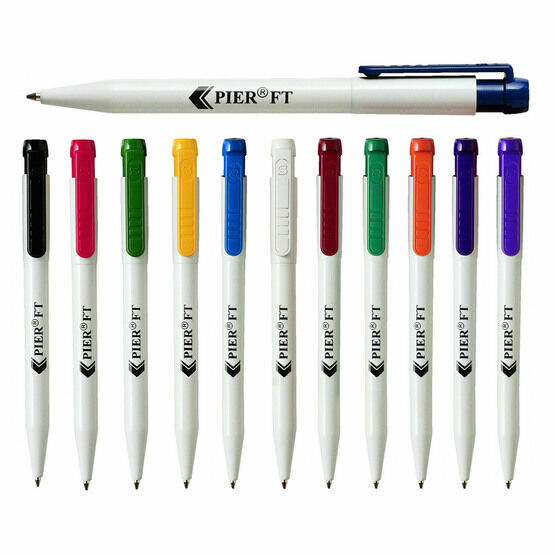 A best-selling range of promotional custom pens that owes its popularity to their excellent value for money, printed Pier FT Retractable Pens boast a high-potential for personalisation. 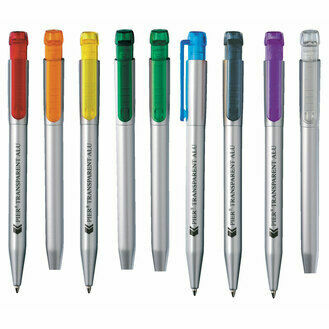 As a result of this, these branded pens can become a very cost effective means of marketing an organisation. Just wanted to say thank you for the pens that arrived today. They look amazing and it was such a good idea of yours to put our logo on them. Will definitely be buying more in the near future from you. Do you provide artwork proofs before printing? Yes, our expert designers will provide a proof for every order which will need approval before we start printing your products. Our usual lead time is 10 working days from receipt of artwork approval. 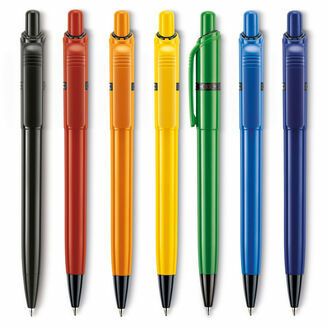 Can you send me samples of a pen? Yes! 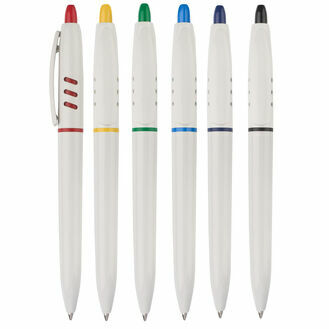 You can request samples of the pens you are interested in on the product page, under the "add to bag" button. Most of the samples are provided free of charge. However, certain executive pens and products have a small charge, the website will notify you of any charges that may occur. 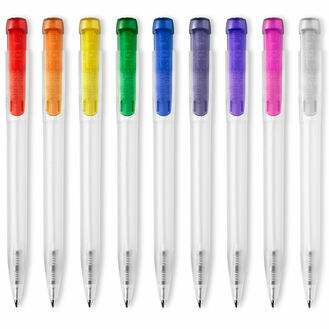 Please note that if you have requested several different pens they may not necessarily come from the same supplier so may not arrive at the same time! Can you send me a printed sample with our logo on it? Unfortunately, we are unable to supply printed sample requests. My artwork is not uploading? The cause could possibly be that you are trying to upload a file, such as an MS Word document, that we cannot accept. The following formats are accepted: jpg, png, eps, gif, pdf, psd, ai, xfs, dwg, dws, dwt, dxf, dwf. Can I expedite my order? Yes orders can be expedited – however this is purely down to current workload – we advise that you contact the office on 01626 334520 to check if we can accommodate your request prior to placing your order. Currently there is no charge to expedite orders – however this may change. Can I get an artwork proof before placing an order? The artwork proof is only available after you have placed an order. Whole process was straightforward, with timely communication from the company. 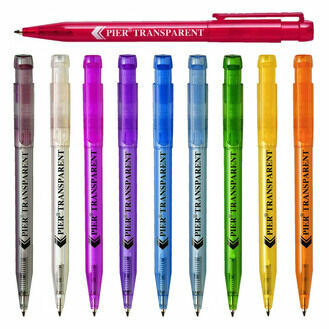 Good quality pens with clear printing. Very happy. Good service and product would use again in future. 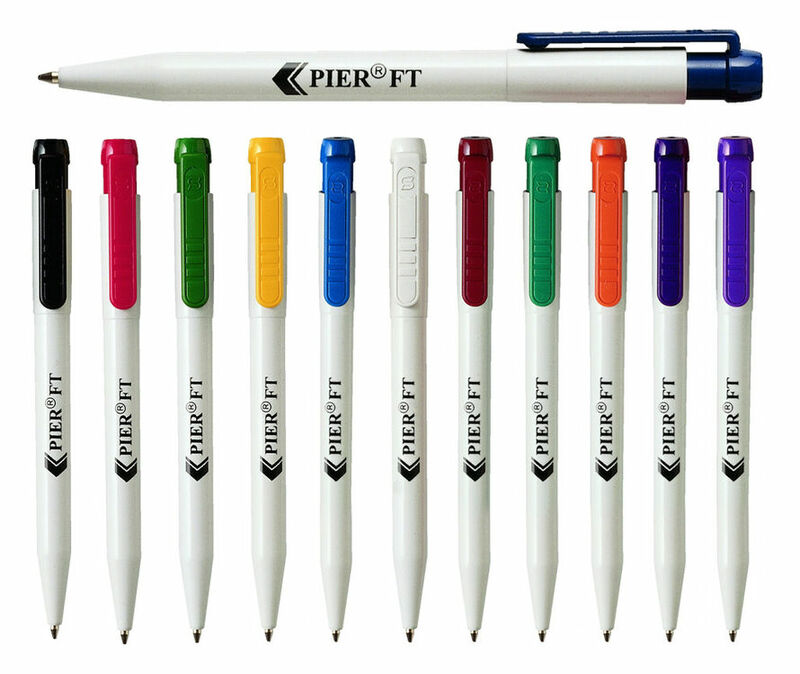 The ordering and customisation process was simple, the pens were exactly the type I had in my mind, and the pricing was reasonable. My only issue was the large hike in price when more than one colour was added which I thought might have been made clearer up front. As it was I went ahead with a single colour design. 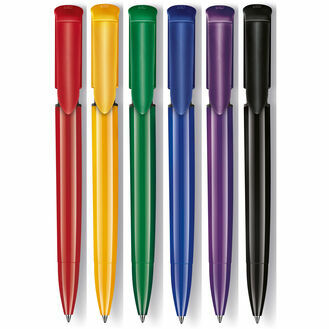 Communication with Pens Unlimited was great, with a helpful, quick response. I got regular email updates about the progress of my order, and delivery was good considering the bad weather that affected everyone at the time. 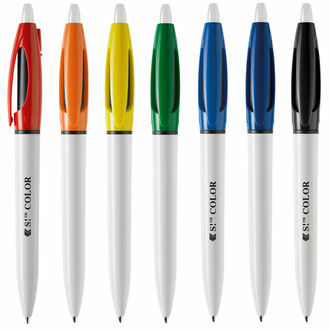 The product itself is excellent - very good quality for a cheap(ish) pen and the printing is clear and well-judged. I will definitely use the company again. Product was exactly what we wanted and service was fast and efficient. 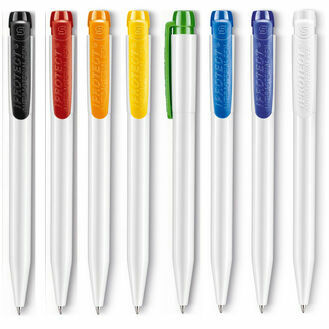 I am really happy with my pens, thanks pens unlimited good job, I will contact very soon again! Our delivery charges are based on weight, delivered to mainland UK. All orders are sent using DPD Local on a next working day service. All items must be signed for. 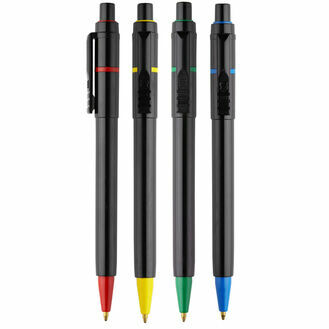 PLEASE NOTE, THIS IS THE DELIVERY SERVICE WE USE, THIS DOES NOT MEAN YOUR PENS WILL BE WITH YOU THE NEXT DAY, NORMAL TURNAROUND IS UP TO 10 DAYS. Once we've mocked up and sent you a proof of your design and any samples you've requested and we've received confirmation that you're happy with your design, we'll begin printing, then pack and despatch your order. This entire process typically takes up to 10 days from receiving your order, unless otherwise agreed. We will send you a notification email when your order has been dispatched. We will send you emails to keep you updated at each stage of the ordering process. In the 'confirmation of shipment' email we will include any tracking numbers so you can track the status of your parcel. Please visit the DPD Local website to do this. Which days will my order be delivered on? Deliveries are made from 07.30 - 17.30 Monday to Friday. You may return any item to us for any reason for refund or exchange, at our discretion, within 14 days of receipt. The Customer must call the Company for a Returns Number before returning any items. The item must be returned in its original packaging and condition and be fit for re-sale. All postage costs are the responsibility of the customer. The Company reserves the right to charge a realistic fee for repackaging if the product is returned due to the Customer changing their mind. Everything that we send out is checked prior to despatch. We recommend that on receipt you check the item before signing for them as once the goods are signed for we will not accept any claims for damages. Please click here for full returns policy.